My research focuses on the environmental effects of plastics and plastic-associated chemicals, using different species of fish for study. I use biochemical and physiological methodologies to understand how exposure to microplastics, plastic additives, and environmental chemicals affect fish via different exposure routes. I am specifically interested in oxidative stress mechanisms and their importance following exposure to toxic substances. My research group is included in the Environmental Science focus area at the Dept of Biological and Environmental Sciences. I am currently the PI in two FORMAS-finansed projects entitled ’A sea of plastic – are plastic particles toxic to fish?’ and ’iMPACT: Microplastic pollution and chemical toxicity’. Together with my group, I study the uptake and effects of microplastic particles on fish. We focus on the effects of exposure to particles, both locally in the gut as well as systemic effects. 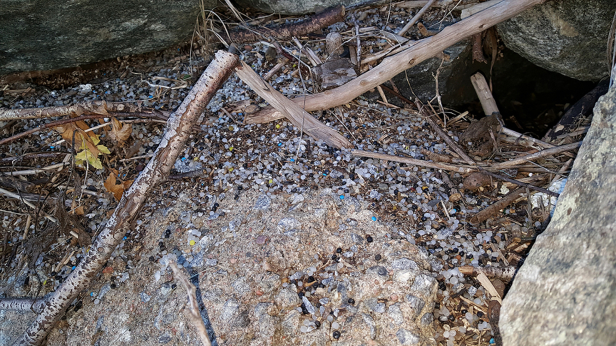 I also work together with colleagues within a third FORMAS-project ‘Microplastics in marine waters: Sources, pathways, fate and indicator species’ working to identify sources and fate of microplastics, including sinks in different compartments in the marine environment, including biota. 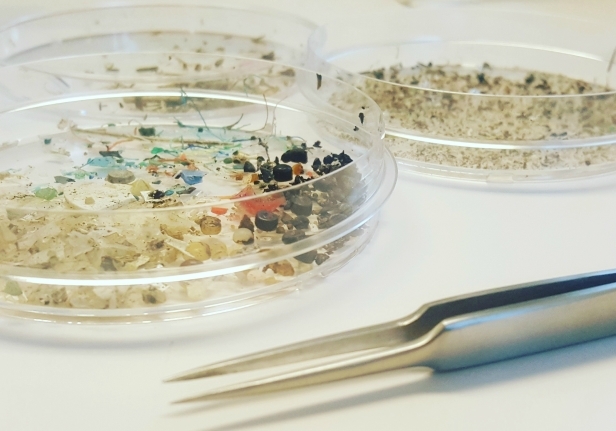 • Clean Coastline – I am a PI and workpackage leader within a large Interreg project in the Skagerrak Kattegatt region, aiming to develop innovative methods for modelling the spread of plastics and marine litter. Our ultimate goal is to improve cleanup and decrease the presence and effects of litter in the region. I am a PI within a research funded by MAVA together with The Food Packaging Forum. We aim to produce a database covering toxic chemicals used in plastic packaging materials. We will use available information to perform a risk assessment of potential health risks associated with these chemicals in humans and in the environment. We collaborate with ChemSec (International Chemical Secretariat) in identifying problematic substances and suggesting compounds for possible use in replacement. I also work within CeCar, an interdisciplinary project aimed at solving environmental problems by inducing large-scale changes in society. Focus here lies in communication with the general public, industry, and policy makers and addressing problems associated with plastic consumption and possible paths towards mitigating problems. I also work with other experts within the FRAM project addressing risk assessment of chemicals and chemical mixtures used in plastic projects and relevant chemical legislation. As an associate professor at the university, a portion of my time is dedicated to undergraduate and Master’s level courses. I am the course leader for an introductory course in the form and function of organisms as well as an interdisciplinary introductory course in environmental science. I also teach ecotoxicology with focus on physiological effects and biochemical toxicity. In addition, I teach a course for vocational teachers aiming to include issues of sustainable development into their programs. I am also active as an advisor for PhD candidates and Master’s students, guiding them in their independent research projects. This research is often connected to ongoing research projects within my group. I dedicate some of my time to outreach activities and communicating research results and their implications to the general public. I also interact with other actors in society, including authorities, politician, businesses and industry, schools and museums. This is often done via lecturing, presentation of reports, interactive events or inspirational speaking. Some of this occurs via the university and ongoing research projects while other activities are conducted in collaboration with The Perfect World Foundation. • The NICE project (Novel instruments for effect-based assessment of chemical pollution in coastal ecosystems). Bethanie Carney Almroth, Linn Åström, S. Roslund, H. Petersson, M. Johansson et al. Huden som konst och anteckningsblock.